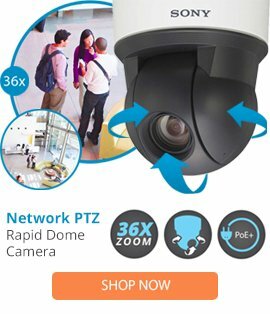 The Pelco DD4H36 36x Day/Night Dome Drive for Spectra IV Horizon Series features a vertical tilt of 18° above the horizon, providing optical clarity and the ability to look up. LowLight technology allows the camera to compensate for scenes where minimal light is present. The Camera has a 128x wide dynamic range that enables the system to compensate for scenes where dramatic contrasts in lighting are present. Electronic image stabilization digitally reduces blurring of the camera image due to vibration caused by external sources such as wind and traffic.